It's an exciting time to be an editor because our profession is being recognised as a vital part of the writing and publishing process, even in self-publishing. Many aspiring authors are prepared to pay for editing, whether they intend to go for a traditional publisher or self-publish their work. For those who self-publish the onus is on them to understand and project manage the editorial process. It comes as a surprise to some that after one edit a manuscript may not be ready for publication. Multiple rounds of editing are necessary for most written works if they are to reach a publishing-ready state. If you are able to take the advice and changes on board from a structural edit, perhaps you can do the work yourself that an editor would do on a subsequent round (line edit). Perhaps not. That is a question for you and your editor after they have been through the book with you. In my experience most authors need multiple rounds of professional editing, however not all can afford it. My advice is usually to get at least one round of professional editing, then once you've worked your manuscript to its next stage yourself, join a writing group and do critiques-in-kind with other writers. This is free, and lets you use your skills to edit or critique their manuscript in return for them doing the same to yours. Fresh eyes on a piece of writing are always valuable. Most writers start to become incapable of self-editing after a while, and cannot notice mistakes in their own work. Editors do not have this problem, as we are trained to remain detached and objective. So, for example, I do edit my own work (eg. Talon and Myra) multiple times. But I also usually have 3-6 rounds of editing before self-publishing, even if that means having different people involved in editing my work. At Australian eBook Publisher we are up front and honest with our customers about editing costs and where the responsibility of accuracy lies (see the Editing section in our Terms of Service). We do high quality work, but we do not guarantee each edit will result in your work being 100% error-free. Even in traditional publishing it is very hard to attain absolute perfection in the written word, and they will tend to edit a book up to six times before publication, maybe even more for a first-time author. 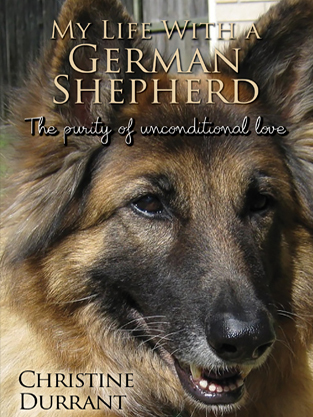 I worked for a non-profit organisation for four years, that published its own books. It had scientist-writers on staff who were very clever extraordinary writers. They would edit each others' work and my team (the design team) would layout their work ready for publication. During design the book would be checked again by multiple people. By the end, each book would be read through and edited at least six times, and even then it was virtually impossible to reduce the number of errors to none. Even starting with an excellent piece of writing (which in assisted self-publishing is often not the case) there is usually a pattern of diminishing returns in editing. In the above graphic please note that this is only a visual representation of opinions based on our experience and knowledge of publishing—both traditional and independent. The maths here is rough and every manuscript and every editor is different. But this gives you a ballpark idea, and drives home the point that you will need to self-edit and pay for multiple professional edits in order to reach perfection in your book. Setting aside those "errors" that are actually just things that come down to personal preference and editorial styleguides, it is probable to still have around 0.05% of errors even after four rounds of editing. If you'd like to read into the maths of this graphic, a 50,000-word manuscript by a first-time author might be expected to have 1% or more errors, or 1,500 errors. After one round of editing, this should be reduced to 0.5%, or 250 errors. This first round is the most effective. As you can see, the second round edit should reduce the errors to about 0.2%, or 100 errors. In other words, it would not be unreasonable for an editor to pick up 1,250 errors in the first round, then only pick up 150 errors in the second round. There are still 100 remaining errors. The best it ever gets to, even after 6 rounds, is 0.06%, or 30 errors. 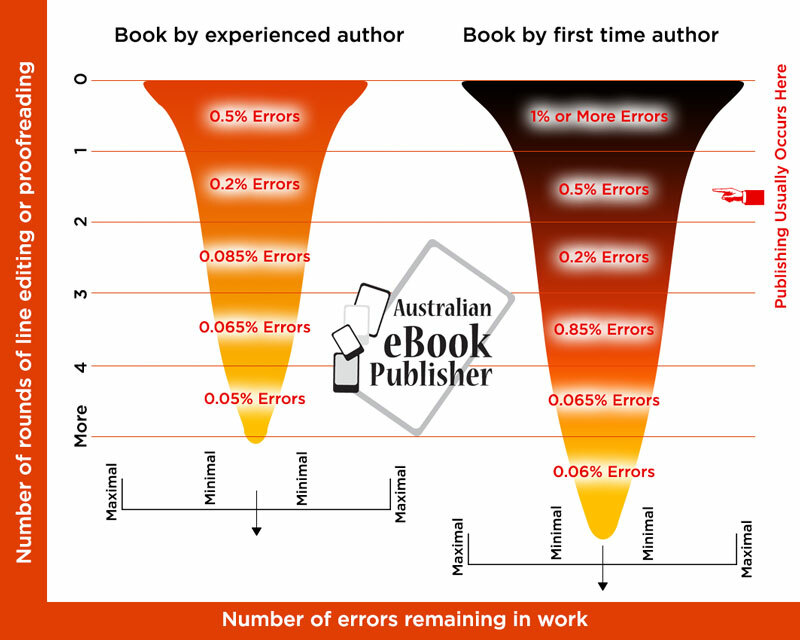 The picture is slightly better for books written by experienced authors, which should be able to get an error-rate as good as 0.05%, or 25 errors—if not better—after four rounds of editing. As you can see in the graphic, publishing usually occurs after one round of editing (if not before), so a book by a first-time author will often be published with 250 errors remaining, and an experienced author with 100 or more at least. Everyone needs editing, and the more rounds the better. Any editor that claims to be able to get a 0.05% accuracy after one round is probably either taking six times as long as another editor or not being honest. It would be difficult to verify this, after all. The more editors involved the better. The more rounds of editing the better. Further, the involvement of an overarching managing editor is the ideal situation. Contact us for a free sample line edit!